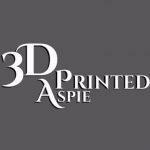 Tessa aka SparkyFace5 is a well-known figure in 3D printing community. She has her own YouTube channel, acts as a moderator in a 3D printing group on Facebook, takes an active part on forums and in social media discussions. Her background as electrician helped her to understand the technology well, and she was able to assemble her first 3D printer from scratch. 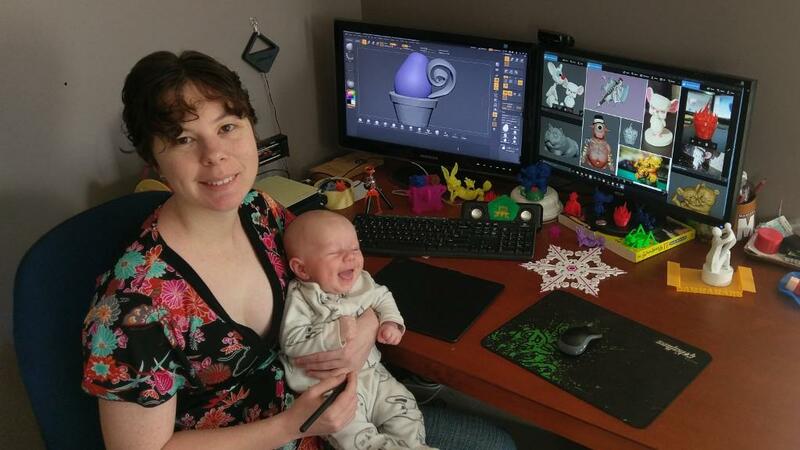 After giving birth to a lovely baby Charlie, she is back with her 3D printing activities. We heard about SparkyFace5 for the first time when Tessa started #3Dblockzoo trend in late 2016. It was a fun and simple idea to use beginner-friendly designer tools in order to create different animals. The great thing about this initiative was that anyone could take part, despite their skill level, and design funny animals using geometrical figures. 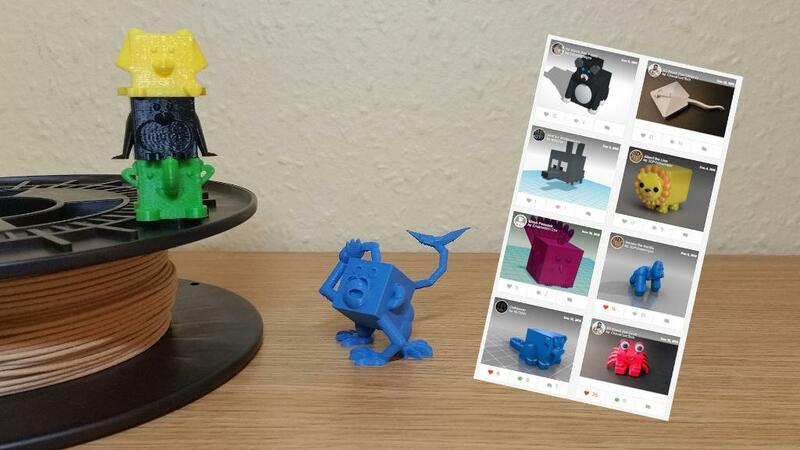 Many members of 3D printing community joined in and designed their own versions of block animals. We loved the blockzoo monkey by Print That Thing so much that we keep using it as the “puzzled face” memo. We were lucky that we were the first to 3D print Pinky from the Pinky and The Brain cartoon. This model is quite popular and we received a lot of positive feedback just by posting this Gif on social platforms. Tessa has recently launched a live channel on Twitch. She is streaming 3D modeling using ZBrush Core every Saturday at 9:30 am Australian time (GMT+8). Twitch gives a precious opportunity to ask questions directly. It is engaging and valuable for anyone interested in 3D design. Watching Tessa work with ZBrush gives a good understanding of what the program is, that can help to make the right choice for those undecided on the software. If you missed any of her live sessions, it is possible to view a replay on YouTube. Unboxings, printing, breaking, fixing, designing and reviewing. Talking about 3D Printing and other bits ‘n’ bobs. Developing a new interest in 3D Printing, I bought and assembled my first printer kit in September 2015. Particularly interested in printing things that move, or are shiny.. oooh shiny, or useful.. or not…… PRINT ALL OF THE THINGS!!!! To learn more about Tessa we would recommend watching this interview. PRINTTHATTHING invited Tessa to his Q&A show where they discussed live a lot of 3D printing-related stuff and remimisce about some of Tessa’s projects. Sooo happy to see My Favorite Aussie getting the Spotlight. Hi Ryan, thank you for your comment. Can’t wait to write a post about you and your impact on 3D printing community. Both of you are the ones who encouraged us to 3D design. Thanks a lot. Thank you so much for this wonderful article about Tessa! She is one of the persons I really admire. Hi Katja, thanks, thank you for dropping by.